What is a TSCM Bug Sweep and how do we use it? TSCM stands for Technical Security Counter Measure operations and is what corporations use to perform a bug sweep in order to counter a bug. TSCM is specialized in a specific area that requires expensive equipment and we have the most advanced equipment of them all in order to provide an accurate bug sweep. The equipment requires regular updating (which ours always are) and sweeps are usually pricey, although not as expensive as how much potential losses from a bugged office could be. Some firms charge more than $10,000 for just one floor of an office building so you probably want to limit the scope of the sweep to sensitive areas. A trained private investigator with training in TCSM and bug detection techniques can sweep your house, office, or other buildings efficiently and quickly. They can also assist you to investigate how and by who the devices were placed. You most likely would want to know what they learned, who was responsible, and how you can prevent this from happening again. This is why we recommend a professional. A sweep is operated by professional investigators who go over your security that involves phones, computers, and other potential areas for eavesdropping. Once the device is found, the investigator will help what action is best to take next. There are also many types of detection methods that are utilized by investigators. You may immediately want to have these devices removed if found, but usually the best thing to do is to use counter measures to assist gathering info on the source of the device. This lets you take the correct legal and civil actions against whoever committed the crime. The actual sweep is completed using many different techniques. Sophisticated detection tools are used to find devices that are well hidden. Visual searches are made to find other devices and computers may need to be looked at to find malware that has been installed to capture keystrokes and screen images. Are you being watched? Does someone know your every move? Are you in danger? Technical Surveillance counter measure also know as “TSCM” is one of the most important service a private investigator can offer their client. Can you imagine if the enemy is able to listen, watch and know your every move? Now a days anyone can buy a spy bug and start stalking you without any detection no whats ever. An experienced Technical Surveillance counter measure investigator can immediately locate all spy bugs, spy devices and spy equipment. Locating Neutralizing and disabling the spy bugs, spy devices and spy equipment is a very technical counter measures procedure that is performed with extreme caution. Afterwards, another important task that TSCM investigator performs is securing the spy bugs, spy devices and spy equipment for evidence in order to file a police report and for court proceedings. We will find and locate spy bugs, spy devices and spy equipment, even if a court order was effective and you are under any type of surveillance. What is a TSCM or Bug Sweep? Technical Surveillance Counter Measures (TSCM), or bug sweeps are services offered by a TSCM investigator that is trained, certified and a technically savvy investigator. Technical Surveillance counter measure investigative purpose is to detect and uncover any illegal surveillance devices such as spy bugs, spy devices and spy equipment; Any unknown technical surveillance devices, and any technical security weaknesses. TSCM investigators, Bug sweeps and inverse surveillance measures can mean uncovering wiretapping, hidden cameras, tracking devices, and spyware. Why Do I Need Counter Surveillance Measures? In a perfect world, without internet and Ebay, no one would need a TSCM investigator or a bug sweeps. Federal and state laws are designed to protect all american’s privacy and prohibit the illegal use of ease dropping, spy bugs, spy devices and spy equipment. In many cases, these laws make it illegal for someone to conduct an illegal electronic surveillance on someone without one’s consent. However, we do not live in a perfect world, and many people use illegal surveillance methods to spy on other individuals. TSCM bug sweep investigator can detect and discover if you are a victim that is experiencing illegal surveillance methods such as: spy bugs, spy devices and spy equipment. Many individuals and companies can profit from using illegal surveillance methods such as spy bugs, spy devices and spy equipment; in order to ease drop and get information. Always remember knowledge is power. Some people may want to spy on those involved in litigation, in order to gather evidence that can be used in court or can be used to pressure someone to drop a case. In divorce cases, spouses may spy on each other in order to gather evidence against each other. Affluent people are often the target of spying, since individuals want to gather private information for criminal purposes. Some criminals may use illegal surveillance devices in order to gather information that can be used in identity theft. businesses are big targets for illegal and covert surveillance, as competitors and criminals try to gather trade secrets, future business plans, and insider financial information from successful companies. USA constitution guarantees everyone has a right to privacy, and bug sweeps and other counter surveillance measures can ensure that private information stays safe. Call a private investigator now to protect yourself and secure your privacy and freedom. 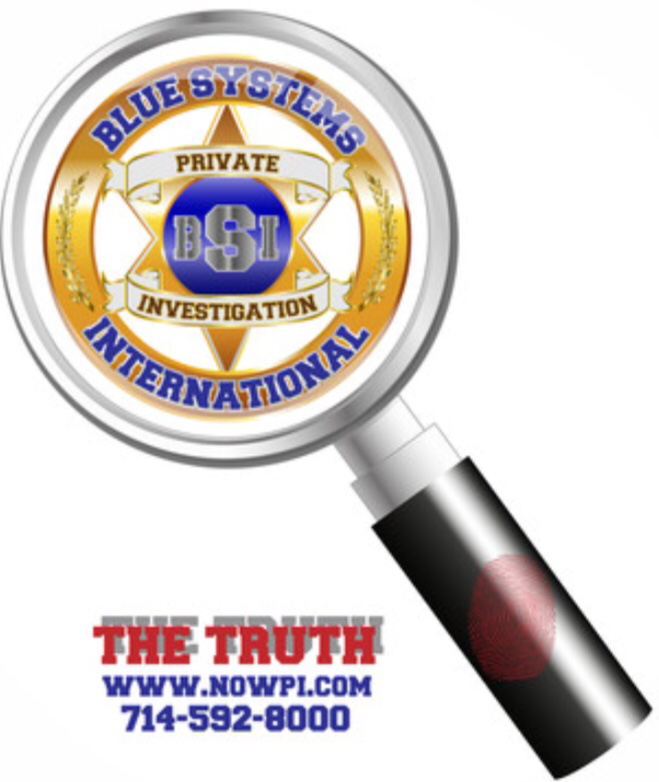 Blue Systems International (BSI) is a team of former state and federal law enforcement investigators with combined experience of over 100 years. The private investigation agency is licensed, insured and bonded. We have access to the most advanced and sophisticated tools and systems in the investigation industry. Thus, we are able to provide our clients with accurate and outstanding results. In addition, our investigative efforts reach throughout the United States. Therefore, allowing BSI to conduct international as well as comprehensive background checks upon demand. All of our agreements and contracts bind the firm with a confidentiality clause and all of our clients’ information is kept confidential at the highest level and priority. Likewise, all of our communication is through a secured system on our website making the availability, integrity and confidentiality of your content fail-safe. Our lead investigator, “MJ”, has been a legal investigator working with professional attorneys on family law, criminal law, car accidents, personal injury, civil litigation, employment law and more for over 20 years. We use the most advanced technology and investigative techniques available in the industry. Our service to the community, whether provided to individuals or businesses, is always outstanding. We assist in crime scene investigation and use our experience in private investigations to find evidence of all types of fraud, including financial fraud and internet fraud. We conduct business investigations to find instances where those with a fiduciary duty have failed to act with due diligence. Whether locating missing persons or investigating possible infidelity, we use discretion and professionalism. We pride ourselves on our communication skills and will work diligently with you to be sure the forms we fill out accurately reflect your needs and the messages you wish to convey. We provide high quality services with a quick turn-around time. Paralegals are on staff and can assist with filling out legal forms and preparing court pleadings. They can explain complex legal terms and processes to you in an understandable way. Whether we are sitting in a hot car in the Southern California sun conducting old-fashioned surveillance or using our in-vehicle internet access, our service to you is beyond reproach. We are discreet and always keep in mind the best interest of our client. Our clients include lawyers who need help preparing their cases. Corporations and companies who may need assistance in many areas, including finding evidence of fraudulent activity. We often are involved in emergency situations when law enforcement is unable to assist. Background checks are becoming more necessary every day. Human resource departments call upon us to investigate the background of job applicants to see if they have really done what they claim and if they are who they say they are. Landlords call upon us to do background checks of prospective tenants in order to avoid a costly eviction process at a later date. Whatever your investigative needs are, we are ready to help. We serve you with dignity and loyalty. Call us for more information to see how we can work to meet your needs in the most efficient and stress-free way. Our private investigators are a team of professionals conduct complete on-site investigations, as well as comprehensive data investigations. These Private Investigations include but are not limited to Corporate Investigation, White collar crimes, Fraud, Criminal Investigation, Missing Persons, Child Custody, Child Support, Asset Searches, Matrimonial and Divorce, Surveillance, GPS Tracking, Electronic Countermeasures, Debugging and Computer Forensics. There are issues you should take into consideration before you begin your quest to find out if your spouse👫 is cheating. First, you should be careful and ready for the conflict that will occur if your spouse finds out you have been surveillance or spying on him/her? 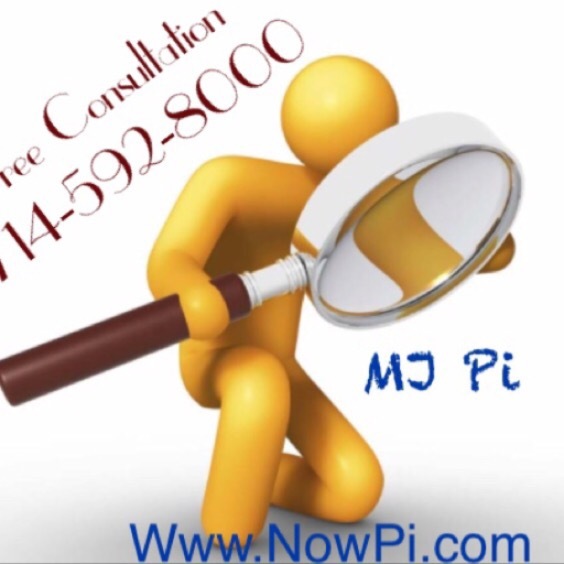 Detective MJ from Nowpi.com advices that you should expect your spouse to be upset, to accuse you of not trusting them and to deny their own actions in favor of trying to make you feel guilty for spying. 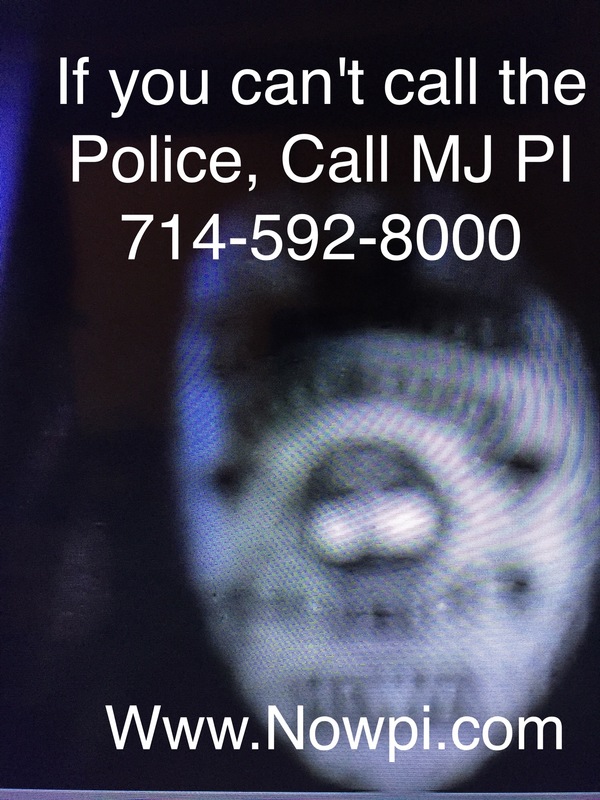 However, MJ who is a private investigator Orange County, will tell you that pictures and video don’t lie!